Nestled on the shores of Waikanae Beach in the East Coast city of Gisborne, The Sunshine Brewery has been providing quality batch brewed craft beers since 1989. Built on a small core range dominated by the flagship Gisborne Gold lager, the breweries recent change of ownership has prompted a move towards a more exciting variety in their beers. Old favourites have been tweaked and relabelled and a new range of beers has emerged with everything from pilsners to an imperial stout joining the line-up. Labelled the “Sunrise Project Range” these new beers are impressing both loyal beer drinkers and those looking to try something a little bit different. The brain child of a couple of Gisborne surfers, The Sunshine Brewery first established a footing in the craft beer industry back in the 90’s. Looking to create the perfect beer to compliment Gisborne’s long hot summers the pair quickly committed themselves to crafting the perfect Gisborne brew. 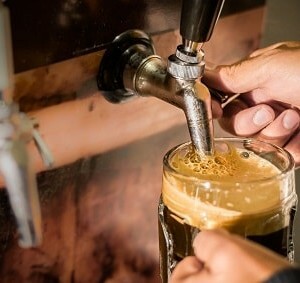 After striking “Gisborne Gold” with their now famous craft lager beer, the local brewery was catapulted into the craft beer scene with their beers being sold in restaurants and bars around the country. During the 1990’s and beyond the brewery amassed a significant haul of awards and trophies for its efforts. More recent years have brought about a change of ownership and brand new premises with the brand “revitalized and repackaged” to reflect this. The now Sunshine Brewery is once again delving deeper into the world of unique and original craft beers with its Sunrise Project, where beers are designed with experimentation in mind. New beer designs are continuously in progress with the experimentation including the addition of somewhat unusual flavours like cocoa, feijoa, black currants and honey. The full range of beers available from The Sunshine Brewery is much too large to list here but these are the top picks. Gisborne Gold. Or Gizzy Gold as the locals call it is a prize winning thirst quenching original session lager, perfect on a hot dry summer’s day. Gisborne Pilsner. Following in the footsteps of the Gizzy Gold, the Pilsner offers up a somewhat heavier hop hit. Gisborne Red Ale. The last of the three original heritage beers, this rich Irish Red Ale packs a punch with a caramel sweetness and hints of dark fruit. Tom Thumb Session IPA. Packed full of flavour this Session India Pale Ale is perfect with a charred steak off the grill or an Indian curry. Electron IPA. An explosive medley of earthy pine and citrus flavours set this beer apart from the rest, a bronze winner in the Australian International Beer Awards for 2017. Waikanae APA. Combining the tastes of America and New Zealand, this American Pale Ale makes the perfect addition to late Friday night takeaways. Black Magic Stout. Earning a Silver Medal in the 2017 Australian International Beer Awards this one is a ‘must try’ when visiting The Sunshine Brewery. Robust Porter. A strong flavoured ale brewed with a dark malt giving it a lovely rich colour and depth. Bronze Medal winner in 2016 at the Brewers Guild of NZ Awards. Want To Taste Some Of That Sunshine? The Sunshine Brewery Taproom provides customers with a quiet convenient place to grab a beer and some tasty snacks as well as the option to purchase beer to take away and refill existing bottles. There are also informal tastings where customers can sample new designs for a small charge and even provide feedback. 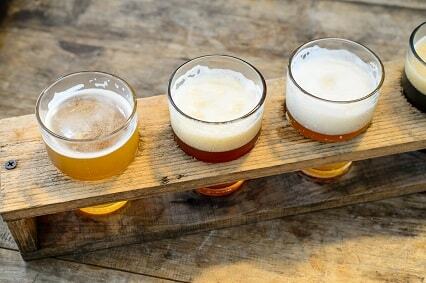 Guided brewery tours are also available – perfect for the beer enthusiast. Have a look around and discover where all the magic happens and even get to taste the results. Find The Sunshine Brewery just one hundred metres from Waikanae beach at 49 Awapuni Road. The perfect spot for a refreshing drink after strolling along the beach or riding the famous Gisborne waves. No longer one of Gisborne’s best kept secrets, The Sunshine Brewery seeks to deliver a locally influenced choice for loyal beer drinkers who want to try something a bit different.